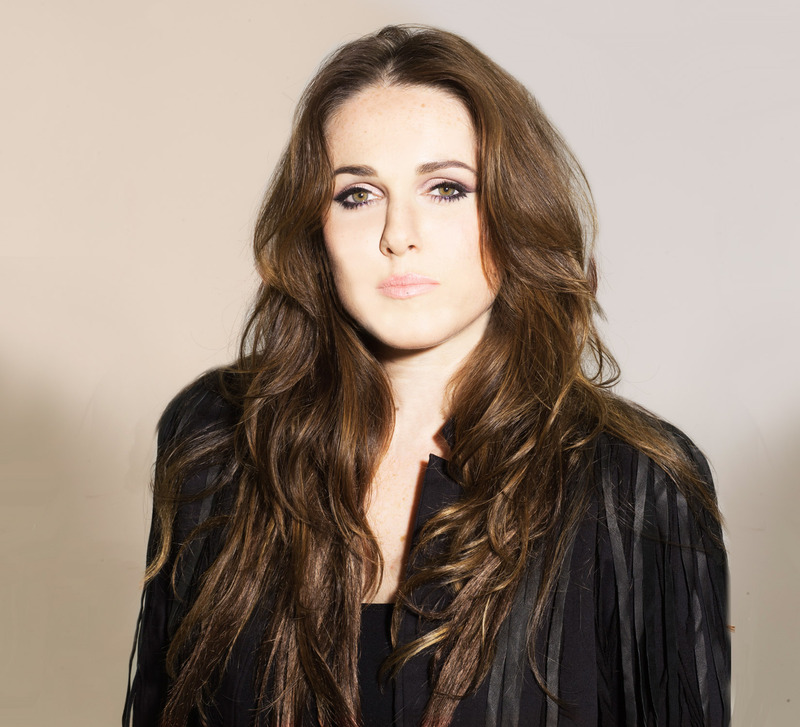 Best known for her 2006 breakthrough single ‘I Wish I Was a Punk Rocker (With Flowers in My Hair)’, Sandi Thom has had a busy year. With two trips to Australia, a festival appearance in China and European shows already under her belt in 2013, the Scottish singer-songwriter is now ready to release her new album The Covers Collection, consisting of acoustic covers of classic rock songs. How was your most recent trip Down Under? I’ve only been home for about three or four days now. I spent a week in Shanghai after three weeks in Australia. I played three festivals; one in Sydney, one in Queensland, and one near Melbourne in Anglesea. It was great; really cool. What were the shows like? At the moment I’m touring a solo act, so they were just me and two twelve-string acoustics and my harmonicas. They were personal and in really chilled-out settings. People seemed to really like it and they were good shows. The festivals were great; all outdoors with warm weather and good crowds. It was great to be back to Australia this year, as I hadn’t been since 2009, and now I’ve been twice this year, so I’m coming back with a vengeance. Your new album is solely covers. What songs have you got on there? The majority of the songs are classic rock, or heavier rock. Hair rock even, like Guns ‘N’ Roses and Heart. Then there’s Nine Inch Nails and Fleetwood Mac, so it’s pretty much a rockers’ record. But really, all the songs have played a part in my life in some way, so it’s really just me putting some songs together as a fan and trying to cover their songs as best I can, and to remove it from how it was originally recorded. It was an unintentional record. It’s not like we sat down two years ago and decided to do it. I was just making these songs for the fans with a really simple set-up, even to the point where one or two of them are just literally a microphone into a laptop; so they’re very much bedroom recordings. People have responded to them really well. ‘November Rain’ in particular has become very popular, with more than 100,000 hits on YouTube. The idea just struck a chord with people and it seemed like a great opportunity to do a record and get it out there. Is it a collection of your favourite songs, or simply ones you thought would make a good album? They’re all significant to me, and have all been my favourite songs as a teenager. ‘More Than Words’ was one of the biggest hits on the planet when I was growing up and I sang it all the time, so doing it a cappella was the obvious choice as the original is already pretty mellow. Led Zeppelin, for me, is a test in playing the guitar part and the piano part, although the original didn’t have piano. I thought it’d be good to put a different slant on it. ‘Songbird’ is a hugely favourite song of mine, and ‘November Rain’ was massively popular in our house growing up, and it was one of my favourite songs. From my perspective as a fan, they’re songs that I love anyway, so to sing them myself doesn’t feel any different now to when I was singing them with a hairbrush as a kid. I think they’re also songs that I can do justice and vocally put on a performance that can move people, which is very important when you cover someone else’s work. You really have to connect to it personally in some way too. Did you find it easy to translate the songs into an acoustic format? Yeah, pretty much. I don’t really ever struggle with the concept of stripping something back to its roots. You know, usually if it’s a great song, it’s never a chore. A great song can be interpreted in so many ways, and still translate. So really, the songs themselves really made my job very easy. All I had to do was sit down and play. Anyone could sing it and play them on the guitar and they’d still come across well. I always used to say when I was trying to figure out which songs would be popular or not that if some really terrible musicians sat down in a folk club and got the audience going with your song, then you knew you were onto something. So, the songs speak for themselves.